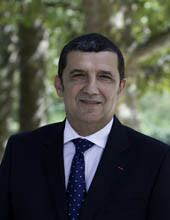 Thierry Lentz holds degrees in Law and in Politics and has been the director of the Fondation Napoleon since 2000, after twelve years in the private sector working as Director of External Relations in a large French company. He also teaches at the Institut Catholique d’Études supérieures de La Roche-sur-Yon. Since 2005, Alexandra Mongin has been running the administrative side of the Fondation Napoleon’s various activities (board meetings, lectures...). She is in charge of the events the Fondation organises (seminars, lectures, History prize-giving ceremonies...). As well as welcoming visitors to the Fondation Napoleon, Brigitte Claré organises the lectures of the Cercle d’études with participants and the public. Irène Delage studied History and Information and Documentation Sciences. She has set up and still directs most of the services the Fondation Napoleon runs for the public, such as the website napoleon.org, the Weekly Newsletter, and Napoleonica.La Revue. 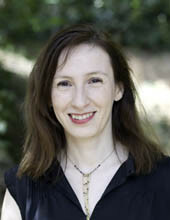 Marie de Bruchard holds a degree in Ancient History (specialising in Greek epigraphy) and a Masters Degree in Modern Literature Applied to Editorial Techniques. She works on the French-language part of the napoleon.org website, the Newsletter, and social networks. Peter Hicks has a PhD from St John’s College, Cambridge (UK), but is also a musician and prizewinning choir master. He is principally in charge of relations with universities, museums and overseas associations. Peter is the editor of the English-language version of napoleon.org, editorial secretary and on the editorial board of Napoleonica.La Revue. François Houdecek has a Masters in History and a BA in Archaeology. He is a specialist in military history, and is responsible for special projects at the Fondation Napoléon, after having been project manager for the edition of Napoleon Bonaparte’s General Correspondance until 2018. With a BA in History of Art from the University of London, and a Fine Arts degree from the Ecole Nationale Supérieure des Beaux-Arts in Paris, Rebecca Young, who is also an artist, works on the English-language version of the napoleon.org website, the Newsletter, and the social networks. 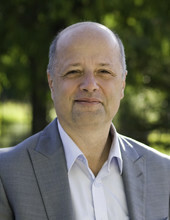 Pierre Branda holds a degree in Economics and Organisations Management. After working as a company director, he joined the Fondation Napoleon in 2009 as Head of Heritage in charge of finances and collections. Elodie Lefort holds degrees in History, History of Art and Architectural and Artistic Heritage Management. Since 2014, she has been managing our collections, overseeing the inventory and checking, organising and overseeing restoration and photography projects, as well as managing exhibitions organisation. With a degree in Public Libraries and in Documentation, as well as a Masters in Archeology and a BA in History, Chantel Prévot manages the Fondation’s physical and digital libraries.